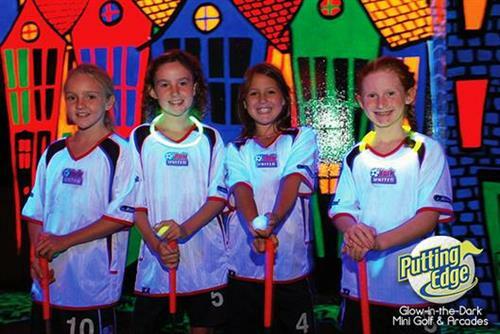 Experience the EXCITEMENT of 18 holes of Glow-in-the-Dark Mini Golf; ideal for parties, an outing with family or friends, special interest groups, corporate functions & more. The Fun Starts Here! For hours and rates visit us online at www.puttingedge.com.